All items must be freshly laundered and SUPER CLEAN!!! Absolutely NO smoke, pet or cooking odors are allowed on any items. No mold/mildew items will be accepted either. Operable batteries must be included in items that call for them. Battery operated items must work! Games, puzzles should have all parts. No missing pieces! Only flat screen monitors and televisions will be accepted. It's the LAW. What's new. . .
NO staples or straight pins. NO straight pins. Safety pins ONLY! NO smoke, pet or cooking odors are allowed on any items. 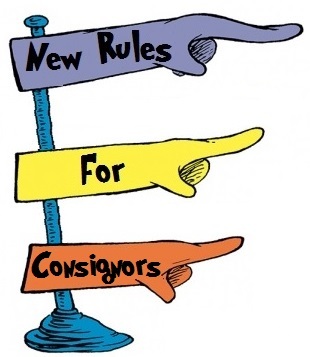 Remember - if you are going to be a contributor for our upcoming Seasonal Sales, we have some new rules. NO more than 10 young men's items of clothing! UNLIMITED baby and kid's new or gently worn clothing and shoes will be accepted. Of course - ALL items MUST BE CLEAN, stain-free, not soiled, without rips or tears, not threadbare, not old and out of style and have no missing buttons or broken zippers. No smoke, pet or cooking odors. Please NO PET, SMOKE, COOKING ODORS or MOLD/MILDEW on items! ​The cleaner they are, the better they'll sell and the more money you'll make!!! March 1, 2019 between 10-4PM. ​See calendar​ for additional drop off and shopping dates.